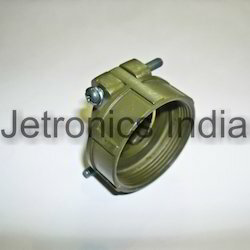 Prominent & Leading Manufacturer from Mumbai, we offer ms 3057 - cable clamp. These backshell accessories can be used with both threaded and bayonet connectors. The double clamping action provides a balanced, positive hold on the wires. The cable can also be used with the MS 3420 Bushing. Looking for Cable Clamp ?